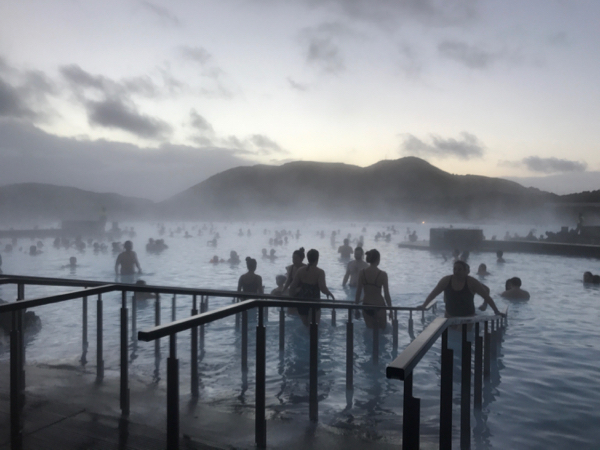 When we realized late in November that we still hadn’t made any travel plans for the Christmas vacation, my daughter pulled up a picture of the Blue Lagoon on her phone and said, and “we should go here.” And so our trip was decided. • It’s REALLY easy to get to. I mean, super easy. Especially from the East Coast. The flight is less than 5 hours going and a mere 5.5 coming back. That’s less time than it takes to get to the Hamptons on a weekend. • Iceland is small. Really small. 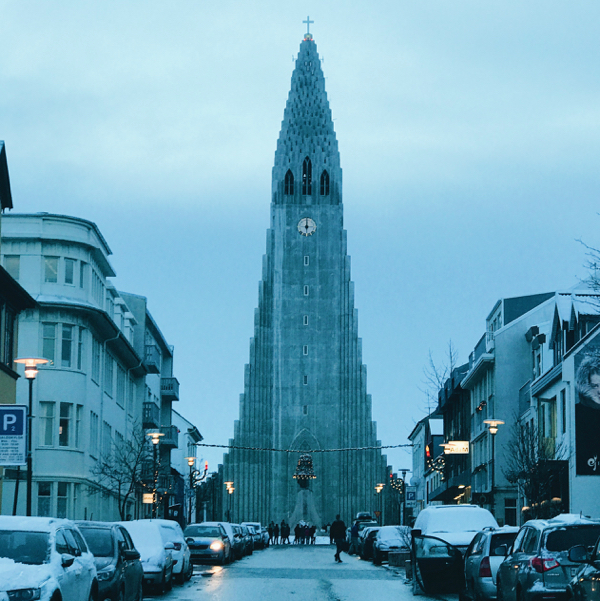 In fact the population of the entire country is a mere 320,000 and of that, 200,000 of them live in and around the city center of Reykjavik leaving only about 120K throughout the rest of the country. This means many things, for one, it leaves the city feeling much more like a small ski town than a capital city. It also means that because almost everyone in Iceland is related in some way, there is virtually no crime. I mean none. We didn't run into one police officer the entire time we were there, no highway patrol, no street cops, nothing. In fact we were told a story of the first-ever female criminal in the 1980s (!) whose family petitioned to make their house a prison as there wasn’t one allocated for women. The government granted their request and this woman who killed her husband (because he was making her life miserable) was allowed to stay home, have meals with her family and was simply locked into her bedroom at night. And as of today, there are about 150 prisoners in the entire country. 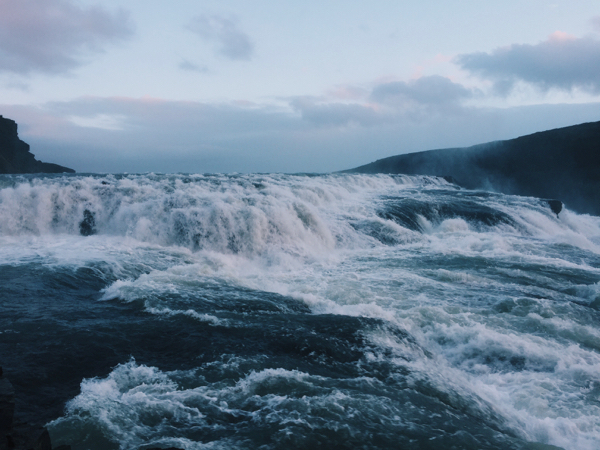 So yeah, nothing bad really happens in Iceland, which is kind of amazing. Especially coming from the country I am currently living in. And I can’t suggest strongly enough that you follow the Icelandic Police department on Insta. It’s like a giant social media hug. 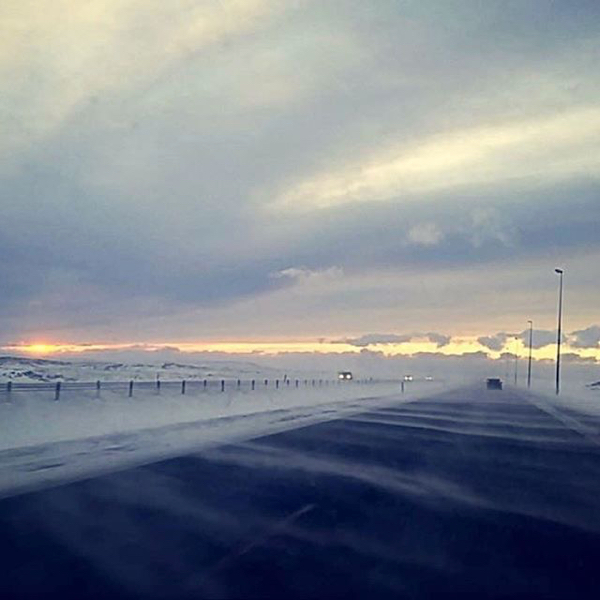 • Many people think winter is a crazy time to do to Iceland, but the truth is that it isn’t as hard to deal with the dark (or the cold) as you might imagine. Yes, it’s bizarre that the sun doesn’t rise before 10am, and when it does it never gets much higher than the horizon, but it also somehow feels right when you’re there. Plus, everyone who lives there is used to it, so no one really bats an eye. And the cold? Well, yeah, it’s cold. But it’s cold across much of our country, too, so NBD. Plus, it’s a country that knows winter, so things don’t shut down over a little snow. And the dark means sitting by the fire drinking a glass of red wine at 3pm is a perfectly acceptable thing to do. My next trip will be during the summer because as I’m told, and can imagine, it is a totally different country under 23 hours of sunshine. • You have to be prepared for anything weather-wise. Pack for everything from mild to sub-freezing, from light drizzle to torrential downpour to hail to flurries to blizzards and everything in between. And it really does change that fast. 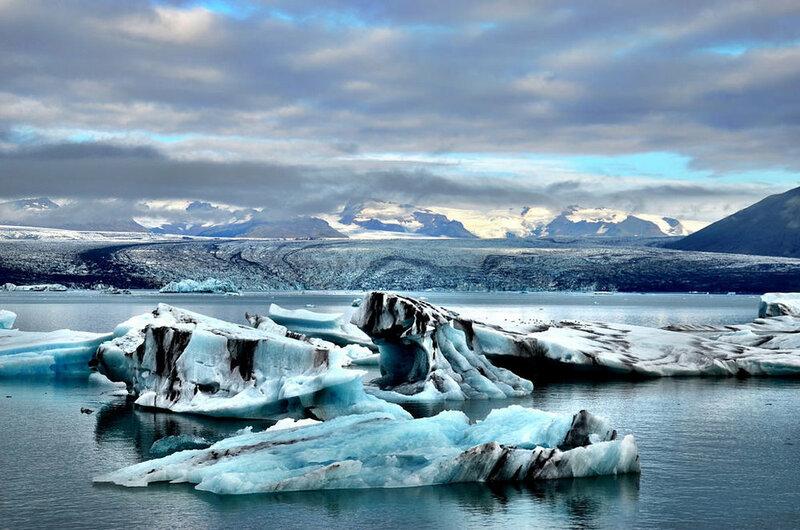 It’s like Iceland has its own microclimate and it wants to show it off at all times. 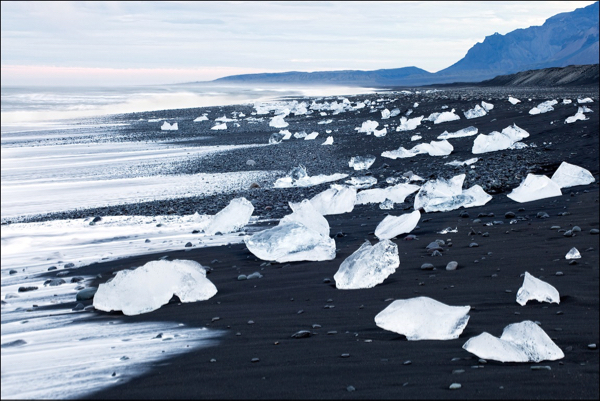 Mother nature is the total badass boss of Iceland. • It’s expensive. Well, a lot of things are expensive, like food and alcohol. Almost nothing grows in Iceland with the exception of fish (which is so fresh you can’t believe) and lamb (the meat they’re known for), but almost all of the alcohol (i.e. wine) is imported, so you’ll pay for that. In fact I was told to buy alcohol before leaving the airport (there’s a conveniently located GIANT duty free shop in baggage claim), but I didn’t because I didn’t really get it. Until we ordered our first bottle of wine, which here in NYC costs $22 and there in Iceland cost upwards of $75. So note to you: buy alcohol in the airport before you leave. • And speaking of money: the Icelandic Krona is the money used there, and its somewhat reminiscent of the Italian Lira in terms of numerations (1USD = 11,355 ISK), so price tags are hilarious and you need a currency converter app to make sense of anything. I used the XE app which I found super easy to navigate. Also, you can easily get Krona out of the ATMs in the airport since I literally couldn’t find a single bank in NYC that had them. But the truth is that I didn’t find anywhere that didn't take credit cards, so all you really need is enough to tip drivers and guides. • The food is better than you think. But be on the lookout for fruit in your food at every turn. Icelanders seem to like everything just a little too sweet. • Once you go, it will stay with you. Maybe it’s the fact that it feels so otherworldly, or that the people are so friendly with just enough quirk to make them interesting, or that they take such incredible pride in their country that you can’t help but take a little bit of ownership with you. But whatever it is, it will get into your head and stay with.